Alleged footage of an incident in June in Russia’s Far East, which saw two airmen killed and an iconic Tu-95 bomber badly damaged, has been published by a local news website. The video was reportedly filmed by an eyewitness. 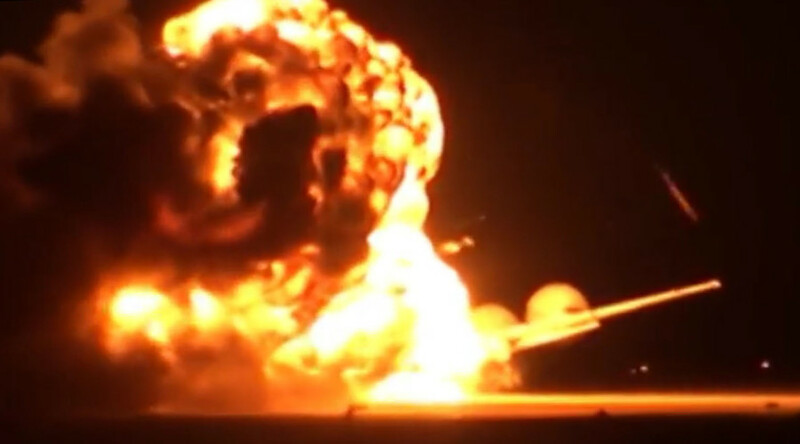 The footage allegedly shows the moment of the night explosion, which happened at the Ukrainka airfield in the Amur region on June 8, 2015. The warplane was about to take off for a training flight, but the crew tried to abort the mission due to an engine fire.